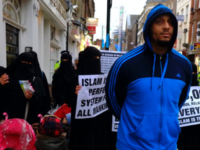 Arguably the UK’s most infamous Islamist preaches has walked from prison Thursday night, as the Prime Minister claims authorities will keep the public safe. Infamous Islamist terror-supporter Anjem Choudary will walk free next week, after finishing around half his jail term for recruiting for Islamic State. 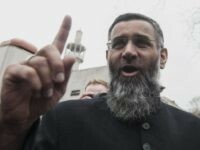 Infamous Islamist terror-supporter Anjem Choudary will be given his own “safe house” and allowed to claim benefits again when he finishes his jail term for recruiting for Islamic State. 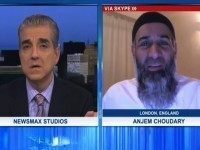 One of the London Bridge attackers was allegedly a well-known Islamist, who appeared on national TV, was reported to police, and can be linked to the network around notorious hate preacher Anjem Choudary. Anjem Choudary’s bodyguard, known as the “Muslim enforcer”, has been jailed for attacking a young boy because he was cuddling his non-Muslim girlfriend. 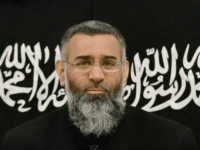 LONDON, Sept 6 (Reuters) – Anjem Choudary, Britain’s best-known Islamist preacher whose followers have been linked to numerous plots around the world, was sentenced to five years and six months in prison on Tuesday for inviting support for Islamic State, Sky News reported. A Muslim convert and “bodyguard” for Islamic State supporting hate preacher Anjem Choudary has appeared in court after allegedly attacking a boy for he saw cuddling his girlfriend when our on a “Muslim patrol”.